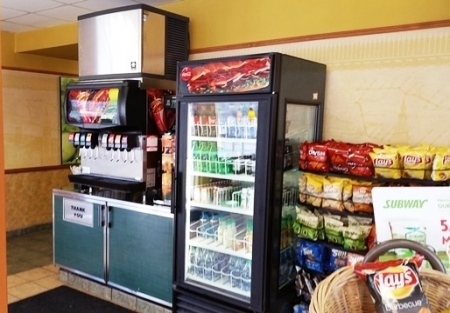 #1 Sub Sandwich Franchise for Owner/Operator… Easy to run ! Reno Suburb within a newly painted shopping center! Busy area close to major road. This store has been essentially run Absentee the last 2-3 years due to health issues. Owner states that sales were increasing and feels strongly an owner operator could improve sales significantly. Large Dining area and more than adequate parking! Upside: This building could accept a drive through window for an ambitious operator. Interior and Kitchen are Clean and this is a turnkey restaurant. Freestanding building with huge walkable storage area in attic. FF&E: Consistent with franchise guidelines. Walk in cooler as well. Lease: Great Rent at $2,884.32… All In for 2,099 sqf.! Sales average 2015 $7,004 per week. Incredible price at $99,000 ! Seller may carry note with 75k down to a qualified buyer. Reason for sale: passing of one of the owners and health issues of remaining owner. Buyer will need to be prequalified and show financial strength as franchise will have to approve the buyer once an offer is accepted by seller. There are franchise transfer fees and training expenses as buyer will need to complete the franchise training. Buyer needs to qualify after offer is made and accepted. Because this being one of the major worldwide franchisees it will hold value of your investment over the years if you follow the franchise model and gown and maintain a good operation. To get more information on this listing you can go to the "Sign NDA" tab and agree to the terms of confidentiality as this is a VERY PRIVATE Listing. You will need to submit a "Buyers Profile" that Agent will forward to you once NDA is completed as Buyers will need to be Pre Qualified. Once completed Agent will give you name, address. Seller will carry a note with $75K down payment.